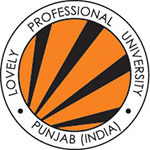 The Manav Rachna University is located in the Faridabad and it is the private university, which is offering the various courses in the field of Engineering, Law, Applied Science, Management & Humanities, Education and Ph.D. for candidates, and those applicants are interested to get admission in the various programs of the Manav Rachna University,they can fill the application form of Manav Rachna University through online mode from the official website of Manav Rachna University. The University provides admission in various UG, PG & doctoral courses. 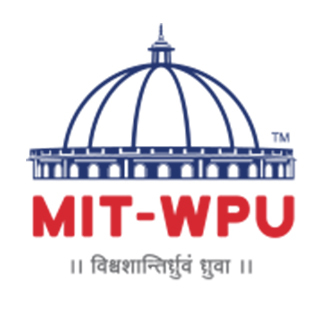 The university also conducts its own entrance exam by the name of MRNAT (Manav Rachna National Aptitude Test). The applicants can get admission in the various programs of Manav Rachna University by national level entrance exams and MRNAT. The applicants will get all of the details of Manav Rachna University through this article in which includes Manav Rachna University admission procedure, admission dates, and eligibility criteria. The applicants can get admission in the various programs offered by Manav Rachna University, and the offered program details have mentioned below. M.Sc in Chemistry and others, MCA, MCA (Lateral entry), MA, M. Com, MDS, LL.M, MBA, MBA dual specialization, M. Tech, MSW, PG Diploma in Advertising & Public Relation, etc. 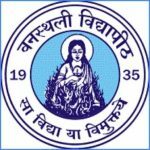 The applicants have to check the important dates of Manav Rachna University Admission has provided below for candidates. The applicants can fill the application form of Manav Rachna University on the official website of Manav Rachna University. It is necessary for candidates to fill the application form with correct and complete details and below the procedure of filling application form has mentioned for the candidates. The application form will be released in the third week of October 2019 and candidates will apply online application form on the website. Candidates can also purchase admission prospectus from the university website with which candidates will get a scratch card. With the help of this scratch card, candidates can apply for the online application without paying the application fee. 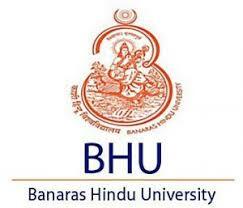 The applicants have to fill the application form on the official website of Manav Rachna University. The application form will be available from the 4th week of December, and the applicants can fill the application form through online mode. There are different dates of submitting an application form for undergraduate and postgraduate programs. They have to upload the required documents in the application form, and they have to fill correct and complete details. The applicants have to take the print out of application form after submitting the details and keep carry for future use. The application fee of Manav Rachna University is Rs.1200 at the time of filling the application form and they can make the payment of application fee through e-Banking or Credit/Debit Card details, or Scratchcard can be purchased from University Counter/designated City Office. Candidates can pay the fee via debit/credit card/net banking/e-wallets. The fee will be non-refundable if paid once. Candidates have to check their eligibility criteria before filling the application form, and the eligibility criteria have mentioned below. Candidates should be qualified in 10+2 standard examination from any recognized board. They must have to obtain a minimum 60% marks in the qualifying examination for any specialization of engineering. Physics, Chemistry, Mathematics, and English are the compulsory subjects should prefer by the candidates in the previous qualifying examination. Candidates must have the qualified marks in 12th board examination from a recognized board. They need to score 50% marks in aggregate or more in the qualifying examination. Candidates should have a bachelor’s degree in the respective discipline from a recognized university. They must have to score 50% marks in aggregate in the qualifying examination. Qualifying Exam: Candidates must have minimum 55% marks or equivalent CGPA in graduation degree in any stream form a recognized institute/university. 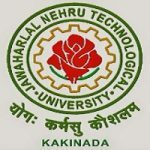 The applicants will be selected for the admission procedure if they have scored qualified marks in the examination of national level and entrance examination managed by the Manav Rachna University. The candidates will be called out for counseling procedure if they have filled the application form and scored qualified marks in the examination. Applicants will be allotted on the seat at the time of the counseling procedure. The Manav Rachna University has conducted the MRNAT examination for the candidates, and it is completely known as Manav Rachna National Admission Test. 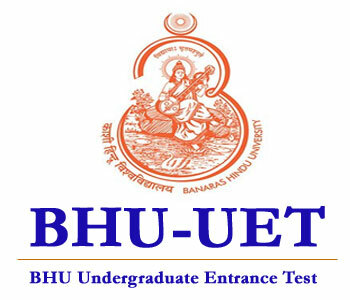 This test has managed to provide admission to the candidates in various programs from this university. The test will be conducted for various UG and PG courses of all disciplines. The exam will be started from the first week of June to the last week of June 2019. Online Exam: It is an objective type online exam of 1 hour 30 minutes. The question will be as per the course was chosen by the candidates. For each question, there will be four option out of which one will be correct. Those applicants will score qualified marks in the examination of MRNAT; they will be shortlisted in the merit list through the Manav Rachna University. The applicants can check their result and merit list on the official website of Manav Rachna University, and applicants will be called out for counseling procedure by merit list. Candidates are advised to take a printout of the result for the upcoming process of counseling and admission. No score card will be sent to the candidates through post. A separate merit list will be prepared for the admission process which will also be published on the website of the university. The candidates will get the call letter from the authority by merit list, and on the official website of Manav Rachna University, the counseling schedule and center will be mentioned for the candidates. At the time of the counseling procedure, applicants have to carry the required documents for verification. The seat allotment will be done for the candidates by seat availability. The required document details have mentioned below. After the conduction of the counseling process, the university will conduct further admission processes. Candidates must appear in GD and PI test for getting final admission. After seat allotment procedure, candidates have to report the admission authority to complete admission formalities. Candidates have to pay the admission fee at the time of taking final admission into the university. The admission will be canceled and transferred to the next candidate in the merit list if the candidate fails to submit the required admission fee. If you have any other queries about Manav Rachna University 2020, you can write your questions in the comment box given below.